Is that a blood orange or a bad orange? a mislabeled blood orange (it was in the pile of cara cara oranges, my favourite) - it was really dark, almost black, but still delicious! 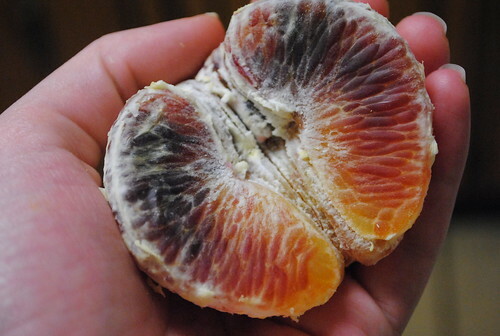 wow, I love good oranges, don't think I have ever ate a blood orange. Pretty colors.